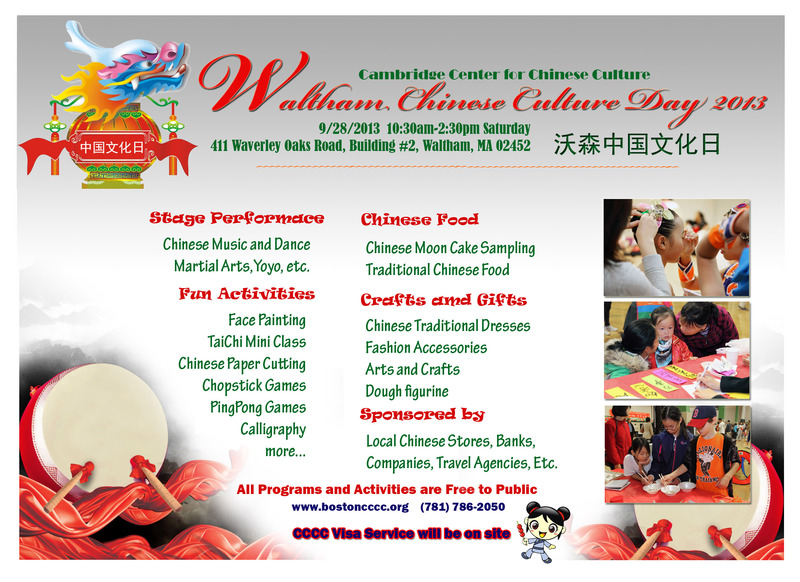 Waltham Chinese Culture Day 2013 will be held on September 28 at CCCC. Please click here for details. The Annual Chinese New Year Celebration has postponed to March 10, 2013.The party will start at 2:30PM at McKenzie Auditorium, MassBay Community College in Wellesley Hills. Please click here for details.